Now in it’s 13th year, Studio Current is seeing some big changes. The arts space and community dedicated to artistic process has moved into a new home just blocks from its previous space in the in heart of Pike/Pine. Experimental performance guru Vanessa DeWolf founded Studio Current and worked as its Artistic Director until 2015, when long-time Studio Current community member kt Shores took over the helm. Then, just at the end of last year, Shores navigated the organization into a sweet new home just beneath Annex Theater on 11th Ave. Studio II features a lighting grid and squishy Marley floors. The new Studio Current offers four spaces available for different kinds of uses. 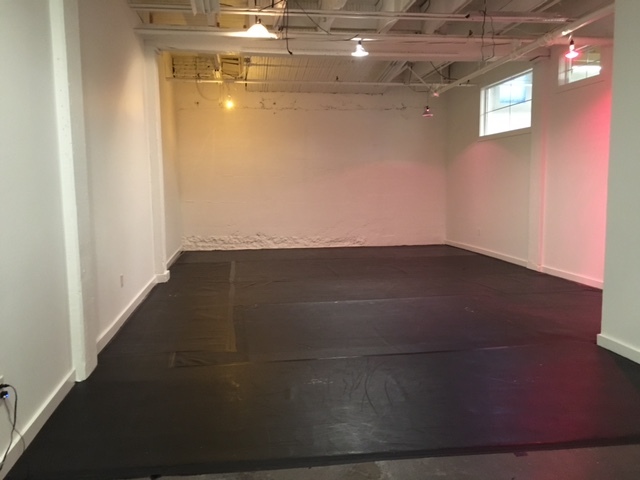 Two studios are equipped for rehearsals or small performances with lighting grid and (soon to be installed) dance floor with Marley. 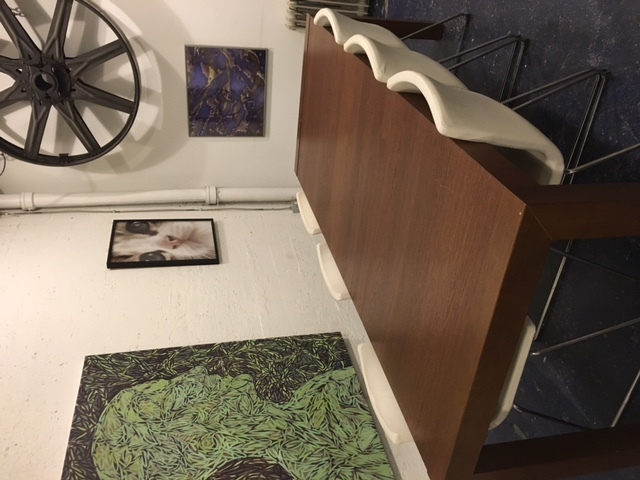 A third studio offers space for storage, a small work area, movie viewings, or intimate meetings. The fourth rentable space is a common area with a big conference table that can be checked out for meetings or workshops. There’s also a kitchenette for food prep. One nice thing about the new building is that because of the multiple spaces and common area it feels a bit more like a hub, something that feeds into Studio Current’s community energy. The location is also more equipped to handle special events that can expand to take over multiple areas. And best of all, it doesn’t smell intensely of dogs, which was a downside to the previous space that neighbored a puppy training school. The common area offers a rentable space for meetings and workshops. 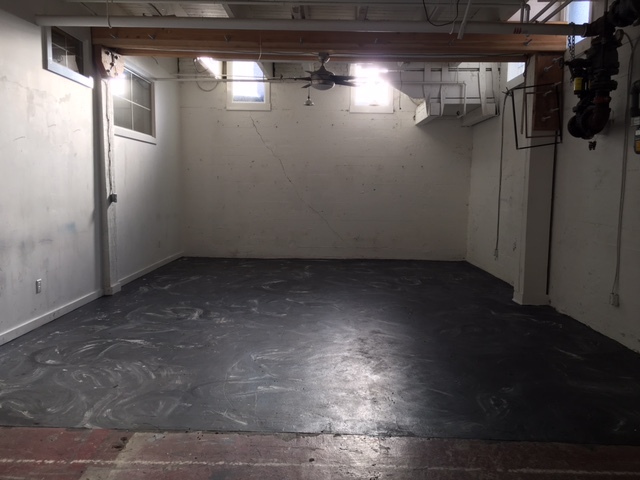 Studio I is the slightly larger studio that will soon be outfitted with sprung floors and Marley. Of course, it’s not just about the physical space. Studio Current has been providing infrastructure for creation and exploration for years, and they’re continuing that mission. “What is really special about Studio Current is the breadth of programming offered. Every season features an artist residency open to artists of all disciplines. 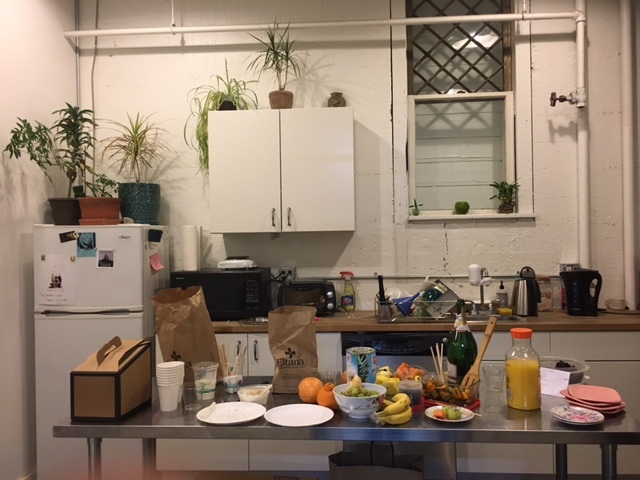 The residents have access to weekly rehearsal space as well as the chance to develop their own programming, classes, workshops, and performances,” says Laura Aschoff, one of Studio Current’s Managing Artist Directors. Aschoff, along with the rest of the Managing Director team: Syniva Whitney, Will Courtney, Corina Dalzell, Angelina Baldoz, and Markeith Wiley, volunteer to take on the administrative work that keeps the studio in operation. It’s surely a labor of love for Shores and her team, but they know that providing affordable space to artists is necessary to keep the Seattle arts ecology alive. Studio Current is currently running a crowd-funding campaign that will help sustain the space for the year to come. Care to help? Have funds to spare? Check out their campaign HERE. Interested in renting space? Email studio.current@gmail.com. Want to learn about events, classes, and opportunities at Studio Current? Follow them on Facebook and Instagram: @StudioCurrentSeattle.